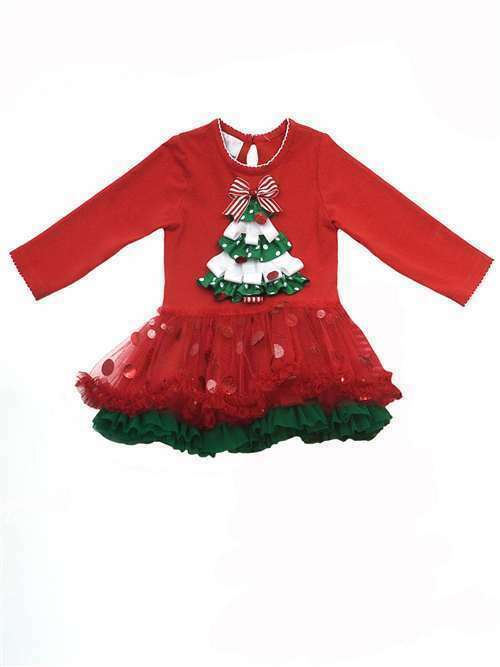 Absolutely adorable little girls christmas dress! Christmas themed dress has long sleeves, tree design and three layer tutu. Perfect Holiday dress for your little girl!